3 What Kind of Dessert Can I Make With Oats & Walnuts? I have been in love with this macaroon sundae recipe since I created it. It’s a fun, flavorful and nutrient-packed dessert that borrows from my childhood memories of ice cream sundaes and yogurt with granola. It’s full of healthy fiber, antioxidants, plus a touch of sweetness from coconut, but devoid of dairy, additives and sugar shock. I opted to use gluten-free oats and new, favorite organic macaroons, which are gluten-free, dairy-free, soy-free and vegan. But this is an easily customizable recipe, allowing you to have fun with the flavors and toppings. Despite its simplicity, this dessert can really wow dinner guests. Layer each parfait in a ball jar and serve individually at the table. It’s also a fun treat to serve at kids birthday parties and gathering such as bridal and baby showers. 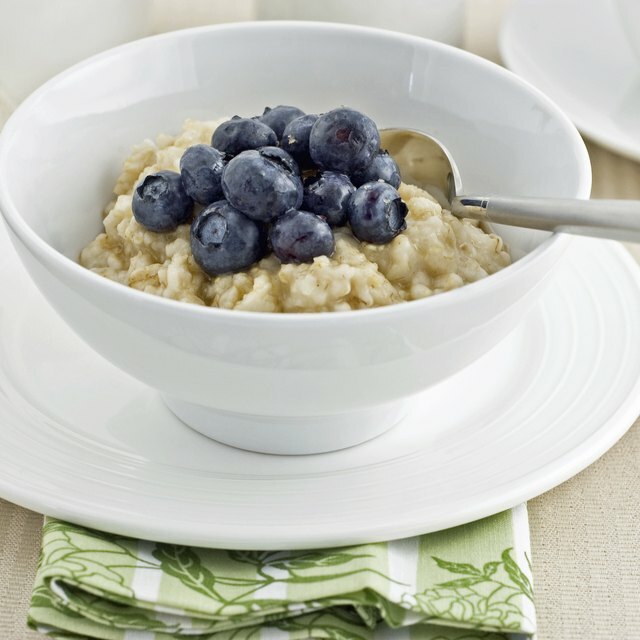 Combine all ingredients for oatmeal in a small pot on the stove. Add almond milk; mix well. Bring to a boil over medium-high heat, and then reduce to a simmer. Cook for about 10 minutes, stirring often, until thick and creamy. The mixture will thicken when chilled. Add cinnamon and macaroon pieces; cook for another 30 seconds and remove from heat; refrigerate for 30 minutes or until cool. 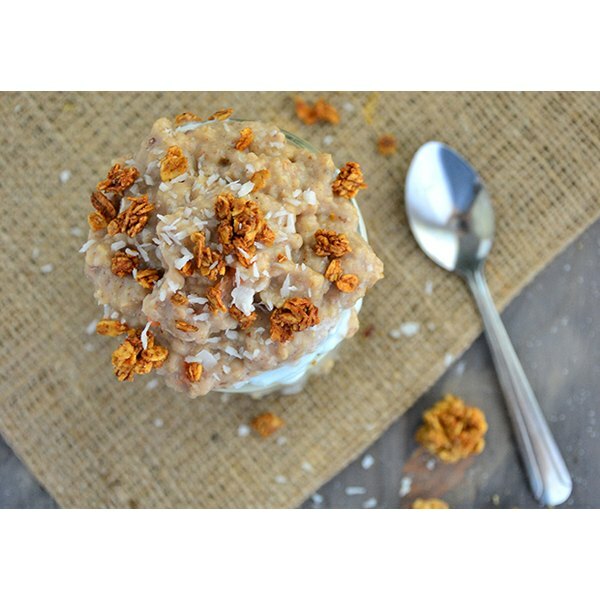 When oatmeal is chilled, mix well and spoon half of the oatmeal into a glass or mason jar, and top with granola and coconut flakes. Serve warm or chilled.